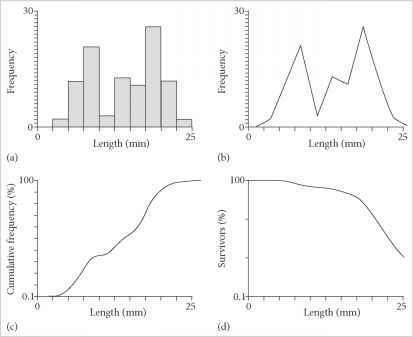 Figure 4.4 Schematic size-frequency histograms: (a) right (positively) skewed, typical of many invertebrate populations with high infant mortality; (b) normal (Gaussian) distribution, typical of steady-state or transported assemblages; (c) left (negatively) skewed, typical of high senile mortality; (d) multimodal distribution, typical of populations with seasonal spawning patterns; and (e) multimodal distribution, with decreasing amplitude, typical of populations growing by molting (ecdysis). Figure 4.5 Schematic survivorship curves: type I tracks, increasing mortality with age; type II, constant mortality with age; type III, decreasing mortality with age. 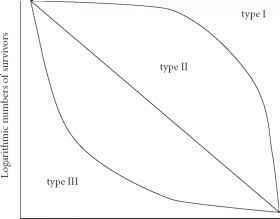 where K is the carrying capacity of the population or upper limit of population size, N is the actual population size, r is the intrinsic rate of population increase and t is the unit of time. Thus, when N approaches K the rate of population growth slows right down and the population will approach a stable equilibrium. Such populations are typical of more stable environments dominated by equilibrium species (K strategists). By contrast opportunistic species thrive in more adverse, unstable environments, where high growth rates are common (r strategists). The smooth terebratulide brachiopod Dielasma is common in the limestones and dolomites associated with the Permian reefs of the Sunderland area in northeast England. 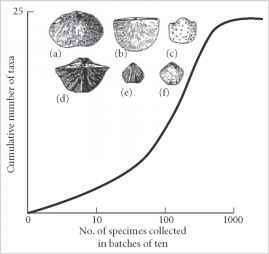 Is it possible to use data from simple length measurements of the brachiopod shell to determine the growth strategies of these animals? One sample shows a bimodal pattern suggesting two successive cohorts are present in the population; overall the survivorship curve suggests increasing mortality with age, in possibly a stable, equilibrium environment (Fig. 4.6). But this was not the only environment around these Permian reefs; other samples show different-shaped curves, some demonstrating high infant mortality in possibly less stable environments, whereas a population with a bell-shaped curve suggests that the shells have been transported and sorted prior to burial. A selection of datasets is available by following this link, http://www.blackwellpublishing.com/paleobiology/. (their address) or with reference to their niche, their lifestyle (their occupation). Modern organisms occupy a range of environments from the top of Mount Everest at heights of nearly 9 km to depths of over 10 km in the Marianas Trench in the Pacific Ocean. Recognition of extremophiles (see p. 205), living in even more bizarre habitats, has considerably extended our understanding of the environmental range of life on Earth. A large number of physical, chemical and biological factors may characterize an organism's environment; unfortunately, few can be recognized in the fossil record. exposed wave-battered platform around the Scottish island of Oronsay. Unfortunately, few rocky coasts have been recorded from the geological record; where they occur, often associated with paleo-islands, there are exciting and unusual biotas and sediments (Johnson & Baarli 1999). 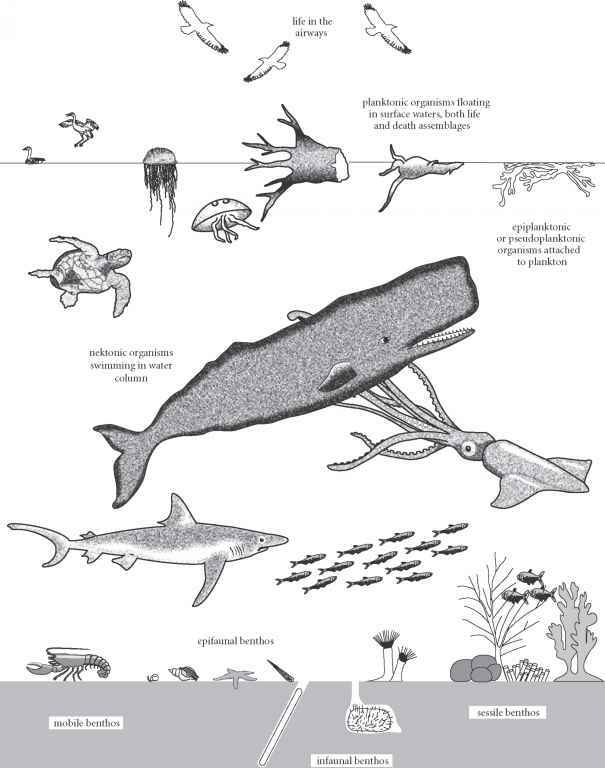 The majority of fossil animals have been found in marine sediments, occupying a wide range of depths and conditions. The distribution of the marine benthos is controlled principally by depth of water, oxygenation and temperature. The main depth zones and pelagic environments are illustrated on Fig. 4.7. In addition, the photic zone is the depth of water penetrated by light; this can vary according to water purity and salinity but in optimum conditions it can extend down to about 100 m. Terrestrial environments are mainly governed by humidity and temperature, and organisms inhabit a wide range of continental environments, ranging from the Arctic tundras to the lush forests of the tropics. Marine environments host a variety of lifestyles (Fig. 4.8). The upper surface waters are rich in floating plankton, and nektonic organisms swim at various levels in the water column. Within the benthos - the beasts that live in or on the seabed - mobile nektoben-thos scuttle across the seafloor and the fixed or sessile benthos are fixed by a variety of structures. Infaunal organisms live beneath the sediment-water interface, while epifauna live above it. Members of most communities are involved in some form of competition for food, light and space resources. For example, the stratification of tropical rain forests reflects competition in the upper canopy for light, while vegetation adapted for damp, darker conditions is developed at lower levels. 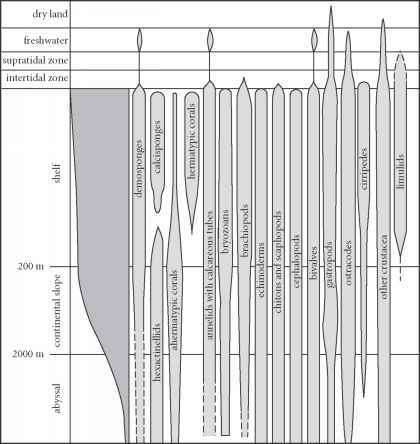 Similar stratification or tiering is a feature of most marine communities, becoming higher and more sophisticated through geological time (Fig. 4.9), rather like the skyscrapers in Manhattan seeking to optimize space on a densely populated island. Low-level tiers were typically occupied by brachiopods and corals during the Paleozoic, while the higher tiers were occupied by crinoids. 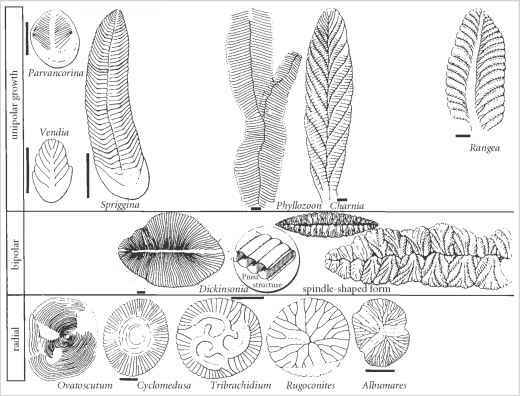 The Mesozoic and Cenozoic faunas, however, are more mollus-kan-based with the lower tiers occupied by epifaunal bivalves and brachiopods and the upper tiers occupied by bryozoans and crinoids. Trace fossil associations show that burrows may be organized in an infaunal, tiered hierarchy (see Chapter 19). 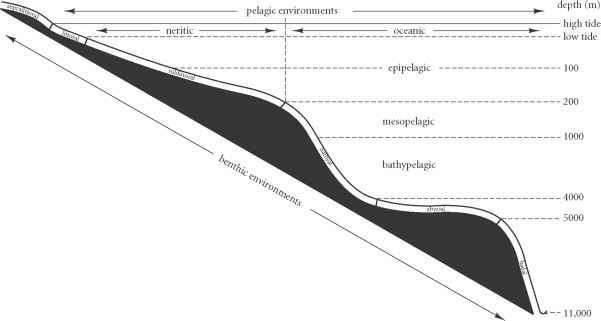 Ausich and Bottjer (1982) defined three levels with increasing depth from the sediment-water interface: 0 to -60 mm, -60 to -120 mm and -120 mm to -1 m. During the earliest Paleozoic, only the first tier was consistently occupied, the second tier was occupied from the Late Silurian and, finally, the third tier was populated in the Carboniferous. Tiering was also selectively affected by extinction events, and tiers deeper than 500 mm are rare after the Late Cretaceous because of predation by bony fishes. Trophic structures: bottom or top of the food chain? Food pyramids form the basis of most ecological systems, defining the energy flow through a chain of different organisms from extremely abundant primary producers to relatively few predators. A number of basic trophic or feeding strategies are known (Fig. 4.10). Several marine food chains (basically, who eats what) have been documented including those dominated by suspension feeders such as brachiopods, bryozoans and sponges. These fed mainly on phytoplankton and other organic detritus. 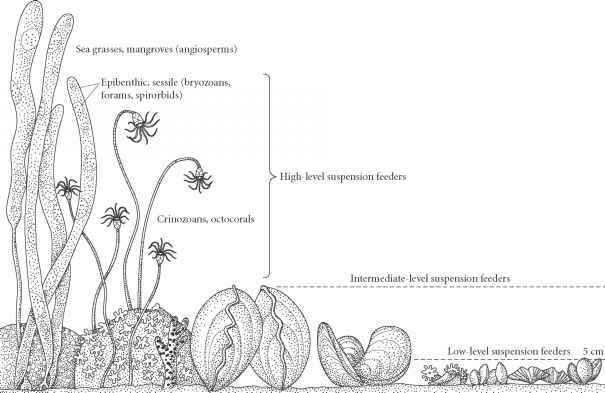 Suspension feeding was particularly common in Paleozoic benthos; the Mesozoic and Cenozoic faunas were more dominated by detritus feeders, such as echi-noids, and food chains were generally longer and more complex (Fig. 4.11). Czechoslovakia (Fig. 4.12a). The lake ecosystem recreated for the inhabitants of the Nyrany Lake complex has three main ecological communities: an open water and lake association, dominated by fishes together with various larger amphibians; a shallow water and swamp/lake association with amphibians, small fishes, land plants and other plant debris; and finally a terrestrial-marginal association with microsaur (small, primitive) amphibians and primitive reptiles. Food chains have been worked out for each of these associations by careful study of the teeth (was it a herbivore with grinding teeth or a carnivore with slashing teeth?) of each beast, and comparisons with modern relatives. For example, in the open-water environments fishes, such as the spiny acanthodians, fed on plankton but were themselves attacked by the amphibians, presumably at the top of the food chain. In the associated terrestrial environments, plant material was consumed by a variety of invertebrates, including insects, millipedes, spiders, snails and worms; these provided food and nutrients for a range of small amphibians, themselves prey for larger amphibians and reptiles. (Fig. 4.12b). The Zechstein benthos was dominated by diverse associations of brachiopods, overshadowed in the higher tiers by fan- and vase-shaped bryozoans (Hollingworth & Pet-tigrew 1988). Both groups were sessile filter feeders. Stalked echinoderms were rarer and occupied the highest tiers. Mollusks such as bivalves and gastropods were important deposit feeders and grazers. One of the largest predators was Janassa, a benthic ray, equipped with a formidable battery of teeth capable of crushing the shells of the sedentary benthos. Assignment of organisms to megaguilds provides another way to classify and understand the components of a fossil community. Guilds are groups of functionally similar organisms occurring together in a community. Megagu-ilds are simply a range of adaptive strategies based on a combination of life position (e.g. shallow, active, infaunal burrower) and feeding type (e.g. suspension feeder). Some paleontologists have used the term "guild" for these categories; however, these were probably finer ecological divisions within the so-called Bambachian megaguilds, named after the American paleontologist Richard Bambach, who first used the concept (Bambach 1983). Megaguilds have also become an effective tool in assessing long-term ecological change (see p. 105). The ecological niche of an organism is determined by a huge range of limiting factors, many of which are not recorded in the rock record (Fig. 4.13). Key limiting factors for marine organisms are light, oxygen levels, temperature, salinity, depth and substrate (Pickerill & Brenchley 1991). oxygen-depth profile in the world's seas and oceans. Oxygen levels generally decrease down to 100-500 m, where the amount of oxygen absorbed by organic matter exceeds primary oxygen production. Here in the oxygen minimum zone (OMZ), the lowest oxygen values are reached. The numbers of many organisms, such as corals, echinoderms, mollusks, polychaetes and sponges drop off dramatically in the OMZ. Levels of oxygen in marine environments are important in determining who lives where. Aerobic (normoxic) environments have >1.0 ml L-1 concentrations of oxygen, dys-aerobic (hypoxic) environments have 0.11.0 ml L-1 and anaerobic (hypoxic-anoxic) have <0.1 ml L-1. Although there is marked decrease of biodiversity in oxygen-poor environments, these environments encourage more unusual adaptations such as the flat shells of the "paper pectens" (e.g. the genus Dunbarella) and the compressed bodies of the flat worms; the increased surface areas of both presumably helped the diffusion of oxygen. Temperature is one of the most important limiting factors. Most marine animals are poi-kilotherms, having the same body temperature as their surroundings, and they live within a temperature range of about -1.5 to 30°C. Water temperature in the oceans decreases steadily to the base of the thermocline, the layer within a body of water where the temperature changes rapidly, at around 1000 m depth, where it reaches about 6°C. Temperatures on the ocean floor rarely exceed more than 2°C. Temperature also changes with latitude and obviously affects the broad geographic distribution of organisms; those from the poles are generally quite different from those from the tropics. Salinity, too, controls the distribution of organisms. Most marine animals are isotonic ("same salinity") with seawater and live within narrow (stenohaline) rather than wide (euryhaline) ranges of salinity, commonly with 30-40%o dissolved salts in seawater. In broad terms normal marine water is characterized by stenohaline groups such as the ammonites, belemnites, brachiopods, corals, echinoderms and large benthic forams. Brack ish waters have mainly low-diversity assemblages with bivalves, crustaceans, ostracodes and small benthic forams, whereas hypersaline assemblages are of very low diversity with just a few bivalves, gastropods and ostracodes. Depth is one of the most often quoted controls on the distribution of marine organisms (Fig. 4.14). Although the direct affects of depth are related to hydrostatic pressure, many other factors, both chemical and physical, are related to depth; for example, in general terms, the grain size of sediment and water temperature decreases with depth. Although hydrostatic pressure does not usually distort the shells and soft tissues of organisms it can dramatically affect organisms with pockets of gas in their bodies, such as fishes and nautiloids. Apart from the effects of hydrostatic pressure, depth can also control the solubility of calcium carbonate; cold water contains more dissolved carbon dioxide (CO2) providing a means to corrode carbonate. At given depths in the world's oceans, carbonate material begins to dissolve at so-called compensations depths. Below the carbonate compensation depth (CCD) the dissolution of calcium carbonate exceeds supply and at about 4-5 km calcite is not preserved. The depth is shallower for arago-nite, with the aragonite compensation depth (ACD) placed at 1-2 km. Both the CCD and ACD vary with latitude, being shallower at higher latitudes, and both parameters have varied throughout geological time. Nevertheless, depth alone probably has little effect on biotic distribution, rather the many depth-related factors can be used to reconstruct the water depths of ancient marine communities. 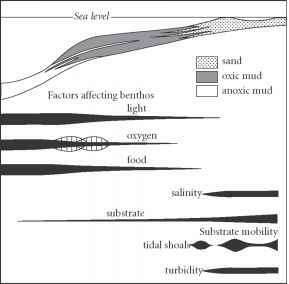 Finally, the state of the substrate, rates of sedimentation and turbidity dramatically affect the distributions of benthic organisms (Brenchley & Pickerill 1993). Organisms have complex ecological requirements, some preferring a particular grain size, a certain type of organic material or they even respond to chemical signals (chemotaxic). There are also complex taphonomic feedback processes, where biogenic substrates such as shell pavements can form attachment sites for new communities. In general terms, within near-shore environments, there is a broad correlation between community distribution and grain size. Diversity tends to be highest in muddy sands, moderate in sandy muds, low in pure sands and virtually zero in soft muds. Moreover whether the sediments form soupy muds, loose sands, firmgrounds or hardgrounds will influence faunal distributions. Paleocommunities are recurrent groups of organisms related to some specific set of environmental conditions or limiting factors. Many of the concepts and techniques applied to marine fossil communities are based on the work of biologists such as the Danish scientist Carl Petersen, researching in the late 1800s and early 1900s. Petersen recognized a series of level-bottom benthic communities around the Scandinavian coasts; the major control on community distribution was water depth, although other factors such as the substrate were also influential. Paleontologists were slow to adopt these insights from modern marine biology. 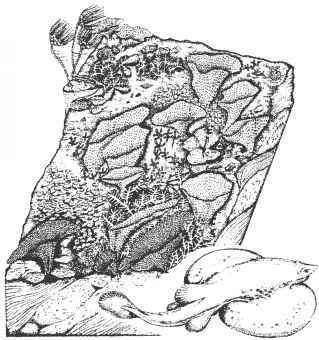 There were a few pioneer studies on Carboniferous assemblages in the 1930s, but it was the classic work by Alfred Ziegler in the 1960s that really brought these methods to the attention of paleontologists. He identified five depth-related, brachiopod-dominated communities in the Lower Silurian rocks of Wales and the Welsh borderlands (see Chapter 12). These communities stretched from the intertidal zone in the east to the deep shelf and continental slope towards the west, matching perfectly the ancient paleogeography. This whole system has been revamped and is now more widely known as the benthic assemblage zones (Fig. 4.15). These zones are defined on a wide range of faunal and sedimentological criteria and may be subdivided, internally, on the basis of, for example, substrate type and the degree of turbulence (Brett et al. 1993). Sometimes the simplest jobs are the hardest to do properly. For over a hundred years, paleontologists have provided lists of species from particular localities, but these are not helpful for ecological work unless the relative abundances of the different species are documented as well. We need to know which species dominate (sometimes one species makes up more than 50% of the sample) and which are rare (i.e. less than 5% of the collection). Now it is more common to document the absolute and relative abundance of each organism, illustrated graphically with frequency histograms, and based on data derived from line transects, quadrats or more commonly now from bed-by-bed collecting or bulk samples. that easily fragment (e.g. bryozoans) and those with multi-element skeletons (e.g. cri-noids and vertebrates) require more specialized counting techniques. These basic data are then transformed into a more realistic picture of ancient communities populating past landscapes and seascapes, through histograms and pie charts. Raw numerical data are extremely useful, but these can also be converted to diversity, dominance and evenness parameters, and parameters for taxonomic distinc-tiveness (Box 4.2). These together can give us a rich overview of the composition and structure of the paleocommunity and allow numerical comparisons with other similar assemblages. Such approaches have become routine in studies of invertebrate paleoecology but it is much more difficult to apply these methods to vertebrate assemblages where sample sizes are generally much smaller. Detailed analysis of paleocommunity structures has permitted recognition of a number of specific community types. Pioneer communities are those that have just entered new ecospace, and they may be dominated by one or two very abundant opportunistic species, in contrast to long-established and rather stable equilibrium communities where relatively high diversities of more or less equally abundant animals are present. The ecological relationships between organisms is also an important aspect of community development (Box 4.3). Box 4.2 Ecological statistics and sampling sufficiency: are you getting enough? It is often difficult to assess the adequacy of a paleoecological sample. Some authorities have suggested that samples of about 300 give a fairly accurate census of a fossil assemblage. Commonly, investigators plot rarefaction curves (Fig. 4.16). These are produced simply by collecting samples of 10 and identifying the number of species in each. For each sample of 10 plotted along the x-axis, the cumulative number of species is plotted along the y-axis. The curve may level off at the point where no additional species are identified with additional collecting and this fixes the sample size that is adequate to count the majority of species present (Fig. 4.16). A range of statistics has been used to describe aspects of fossil communities. Although the number of species collected from an assemblage provides a rough guide to the diversity of the association, obviously in most cases the larger the sample, the higher the diversity. Diversity measures are usually standardized against the sample size. Dominance measures have high values for communities with a few abundant elements and low values where species are more or less evenly represented; measures of evenness are usually the inverse of dominance. where S is the number of species, N is the number of specimens, ni is the number of the ith species, and p, is the relative frequency of ,th species. 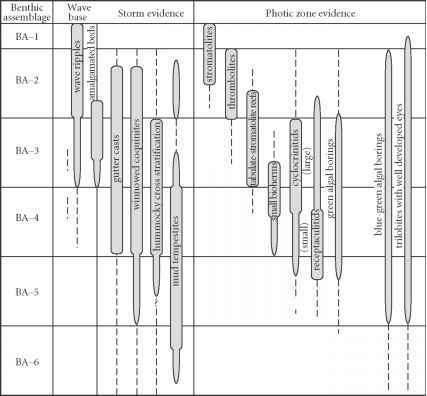 Figure 4.16 Construction of a rarefaction curve based on data collected from a mid-Devonian brachiopod-dominated fauna, northern France. The main types of brachiopod are illustrated: (a) Schizophoria, (b) Douvillina, (c) Productella, (d) Cyrtospirifer, (e) Rhipidiorhynchus, and (f) Athyris. The curve levels off at about 300 specimens, suggesting this sample size is a sufficient census of the fauna. Magnification approximately x0.5 for all. Continued derived from a raw data matrix of the presence or absence or numerical abundance of fossils at each site. Cluster analysis is most commonly used in ecological studies and there is a wide range of both distance and similarity measures, together with clustering techniques, to choose from. R-mode analysis clusters the variables, in most paleoecological studies the taxa, whereas Q-mode analysis clusters the cases, usually the localities or assemblages (Fig. 4.17). For example, Late Ordovician brachiopod-dominated assemblages from South China have been investigated by cluster analyses (Hammer & Harper 2005) and fall into a number of ecogroups. These data are available at http://www.blackwellpublishing.com/paleobiology/. 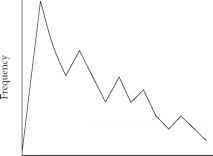 Which curve best describes survivorship in a marine crustacean? Which survivorship curve is marine crustacean that molts? Are crustaceans type 3 survivorship curve? What is the survivorship curve of mullosks? What species live at the middle curve in survivorship curves? Which survivorship curve would drop dramatically at the beginning and then level out? Is phytoplankton survivorship cure type one? Which survivorship curve best represents a marine crustacean that molts? Which curve best describes survivorship in a marine crustacean that molts?